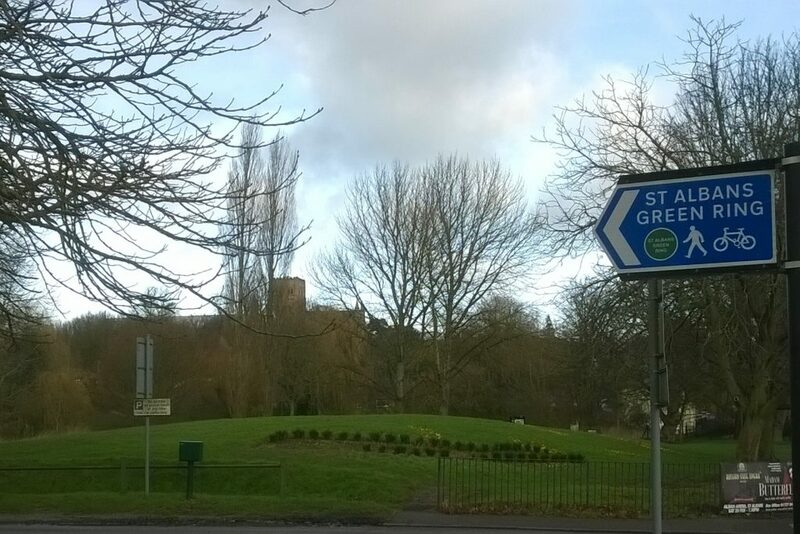 We’ve been asked to comment on the plan for the St Albans section of the route. If there are issues or concerns you might have about the route west of the Blackberry Arch, please email chair@welhatcycling.org.uk no later than this Wednesday 14th November 2018 as our response needs to be in by 19th November. As there will also be a similar plan for the Welwyn Hatfield section of the route, I’m happy to have comments for that too. 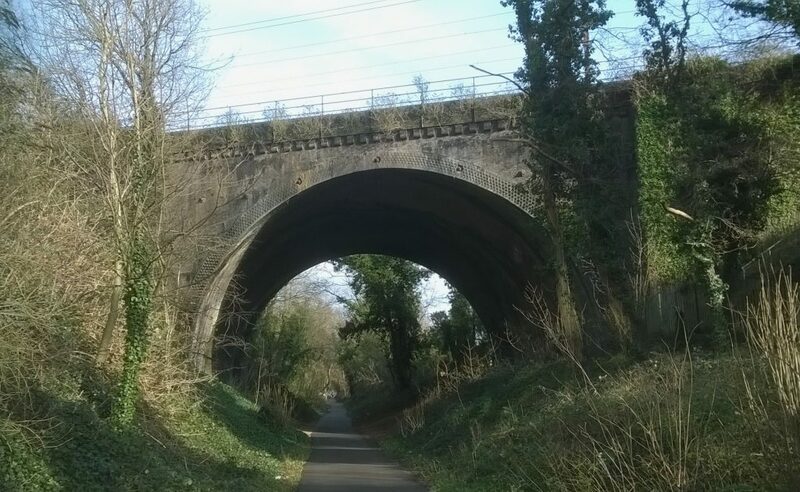 The photo shows the Alban Way where it passes under the Midland main line railway near London Road. The route is a mix of off road sections like the Alban Way and on road, mostly quiet side streets but with some crossings of busy roads. Combined with the Alban Way it makes for a good ride from Welwyn Hatfield, looping north round St Albans from Fleetville and returning via Verulamium Park (photo). At Cottonmill Lane there is a level crossing over the railway, which is currently a major local issue as Network Rail are suggesting closing it due to problems with misuse. You can find out more via the Facebook group: Save our Cottonmill Crossing Action Group. There’s nothing more annoying than an inaccurate online map, so do report errors. For Google Maps, look for the Send Feedback link bottom right on the page under the little person. Click Wrong Information. Google Maps then allows you to highlight the section of road, tick incorrectly drawn and then add a note to say what is wrong, for example, add on road cycle route. Open Cycle Map (http://www.opencyclemap.org ) is behind cycle route planners like cyclestreets.org. We can fix errors if you don’t have an Open Street Map account, so let us know via chair@welhatcycling.org.uk Enjoy your winter route planning ready for 2019. Finally, over the winter we continue to meet as a group to plan for 2019 and respond to local projects and issues. If you’d like to join use for coffee and cycling chat, you’ll find us at Humphreys, Campus West, Welwyn Garden City every second Wednesday at 7.15pm. Our next meeting is Wednesday 14th November 2018. Do join us if you can.